I've only reviewed one other Ayler LP on these pages (the frankly bizzare 'Music Is The Healing Force Of The Universe') so for today let's go to the other end of his recorded career with this 1962 live recording. It would be fair to say that this isn't his best record, in more ways than one. The first problem is the sound. It sounds like it was recorded in a barn with an audience that were distracted enough to talk throughout. Ayler can be heard clearly enough, but the bass is practically inaudible and the drummer reduced to a series of quiet cymbal crashes. Mind you, that's probably not such a bad thing as both rhythm players are uninspiring and have little in the way of communication with their leader. In some respects it sounds a bit like an Ayler solo performance, which is interesting enough in itself even if his playing isn't up to what he was capable of. He might just be getting thrown off by the poor accompaniment, but in places he sounds shaky and unsure of what to play next. His playing is at times unimaginitive, and often at odds with the theme - witness 'Rollin's Tune' where an 'Oleo'-ish theme gives way to... well, not much really. What does come over well is Ayler as an elemental force in music, evidenced by the forceful sqauwks and rasps that pop up throughout 'I'll Remember April'. These signs of vitality point squarely ahead to the Ayler that we all know and love. Recordings like this make it possible to see what criticism of free-jazzers was all about, indeed in one review from 1970 Ayler was derided as being unable to play. 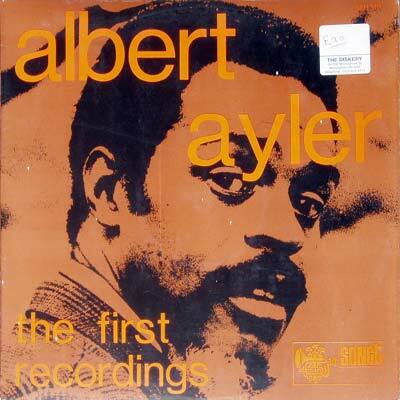 Fortunately future recordings were superior and Ayler's legend lives on. In preparing this review I was fortunate to come across this discography of Ayler that appears to be definitive.